Pick your favorite lash style. Lay lash on top of your natural lash to see if lash fits shape of eye. If lash extends beyond your lash line or feels uncomfortable, trim the excess with small scissors. 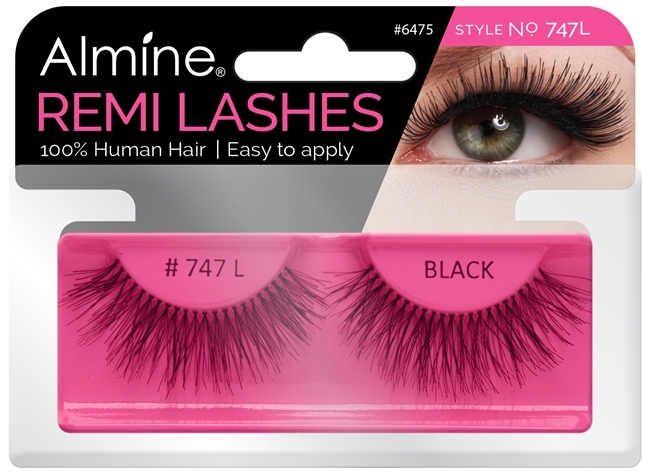 Apply Almine Lash Glue (SKU 6480 or 6481 - available on BBFULL.COM) or any other lash glue that is available, and let the glue get tacky for about 30 seconds (meaning adhesive must set before applying faux eyelash on the eyelid). Place the lash as close as possible to the natural lash line with tweezers (use with caution) or your fingers. Use fingertips to gently press along the band to secure in place. Blink a few times to ensure your eyelash is properly secured.